Guest post by Louise Baker of Zen College Life. With so much time and effort being dedicated to creating sustainable energy sources, reducing carbon emissions, and replenishing endangered species, there are a wealth of jobs now available for socially conscious, career-minded college graduates. Reducing carbon emissions has become an increasingly important task throughout the world. Many nations are attempting to reduce their carbon footprint by creating carbon reduction programs, such as the research and development of low emission motor vehicles. Carbon Portfolio Management is important to not only help nations and corporations maintain an environmentally friendly industrial complex, but also to guide them economically throughout their green revolution. Graduates with a degree in Economics or Environmental Science may want to investigate this increasingly popular occupation. 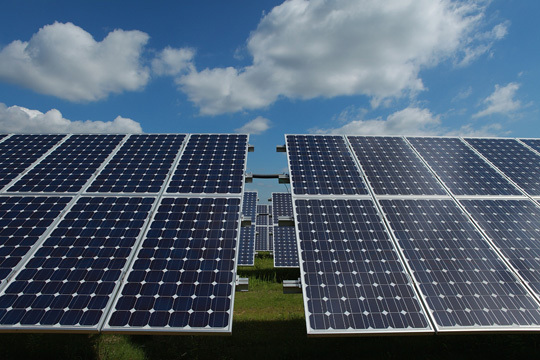 One source of sustainable energy is solar power. Solar power requires the efforts of countless engineers and technicians to bring this sustainable form of energy to places that now rely on conventional forms of energy production, such as coal burning plants and nuclear power plants. In order for these technicians and engineers to perform their task quickly and efficiently, supervisors are required. This is a great position for anyone with a degree in Engineering, a willingness to learn new techniques and procedures, and a desire to travel. Every revolution needs a voice, and the green revolution is no different. Environmental reporters have rapidly become valuable commodities for most media corporations. The flow of green information is constant and overwhelming, so reporters are needed to help manage that flow. Every major newspaper outlet in the world now has their own green reporters on staff. Magazines, television news programs, internet websites, they all employ green reporters. This is the perfect job for someone with a degree in Journalism and Mass Communication or a degree in Environmental Science. With so many corporations, government agencies, and individuals dedicated to a sustainable existence, there is a growing market for green mentors, men and women with advanced knowledge of green practices and procedures and a willingness to share that knowledge. Through seminars and demonstrations, these experts teach people how to maintain a green lifestyle. This position would be a great fit for someone with a degree in Education or Environmental Science. Louise Baker is a freelance writer. She currently writes about online schools for Zen College Life. She most recently wrote about the best online colleges.